You know, it took five years and nine months for Long-Forgotten to chalk up a million views. It's only taken one year and ten months to get to two million, despite the fact that the blog sometimes lies dormant for lengthy stretches, silent and still as a cemetery. But as we know, at the Mansion no cemetery remains quiet for very long. Many thanks to all readers, commenters, and linkers out there. You make this thing worth doing. Okay, enough mush. It's an established tradition at LF to celebrate our milestones and anniversaries with odds and ends of Mansionalia, and you may rest in peace, knowing that this post will be no exception. Today we are going to look at more graveyards, believe it or not. Some are lost, some not. 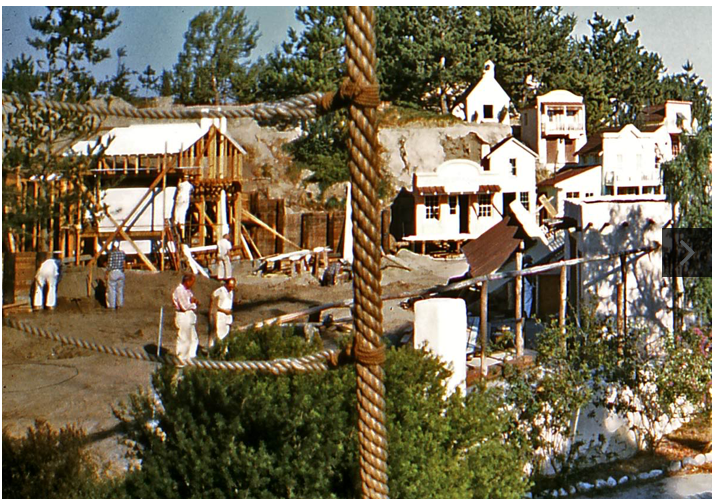 In the last post we took a little vacation on Tom Sawyer Island and learned about the three burial grounds that once were there. 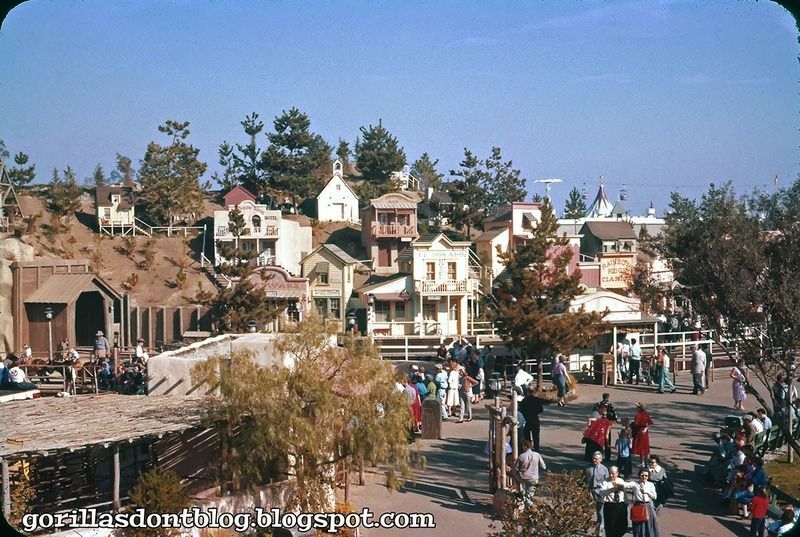 Since then I have been alerted to another long forgotten Frontierland cemetery (noticed by TokyoMagic! in a photo published at Gorillas Don't Blog last September and brought to my attention by Chuck in the comments on our previous post). I figure it kinda sorta belongs in the same file as the three on TSI, so we'll take a quick look at it—an excursus on an excursus, if you will—and then it's back to the Mansion, where we belong. There, we'll turn the spotlight upon yet another lost graveyard, and after that we'll provide updates about various doings in one of the current graveyards. I haven't seen anywhere an adequate discussion of the latter items, so as usual it falls to us at Long Forgotten to make good the deficit. 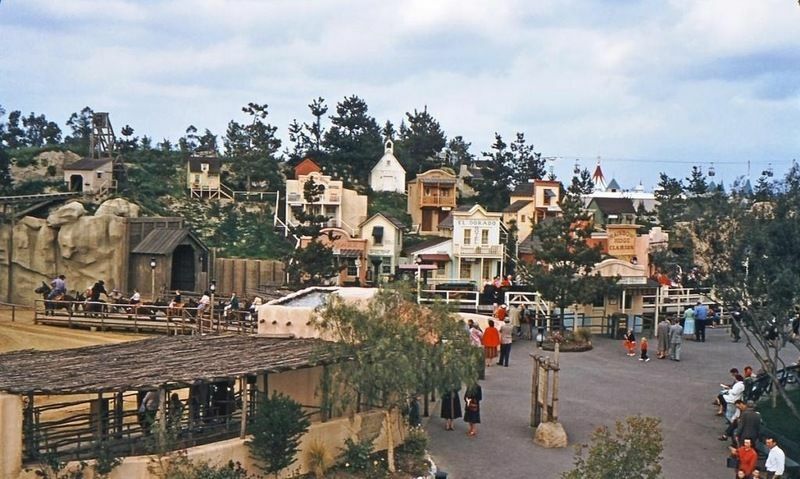 When the Stagecoach and Wagons attractions were axed, this whole area was heavily remodeled, including some major reshuffling of Rainbow Ridge, adding new buildings on the left side and moving existing buildings around. That took place late in 1959. 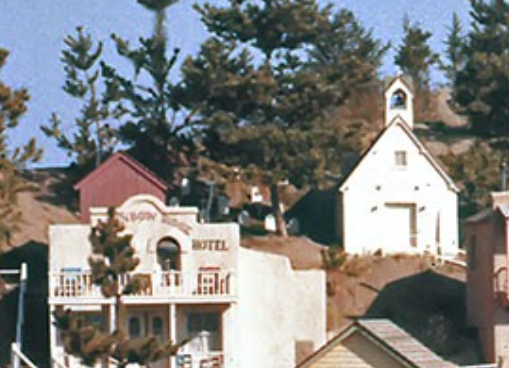 As the foliage grew, the cemetery was obscured more and more, and during the 1959 remodel the "lonely little church on the hill" became an urban house of worship, with houses next to it and fencing suggesting a road going in front of it. The graveyard was gone, and eventually it was (need we say it?) 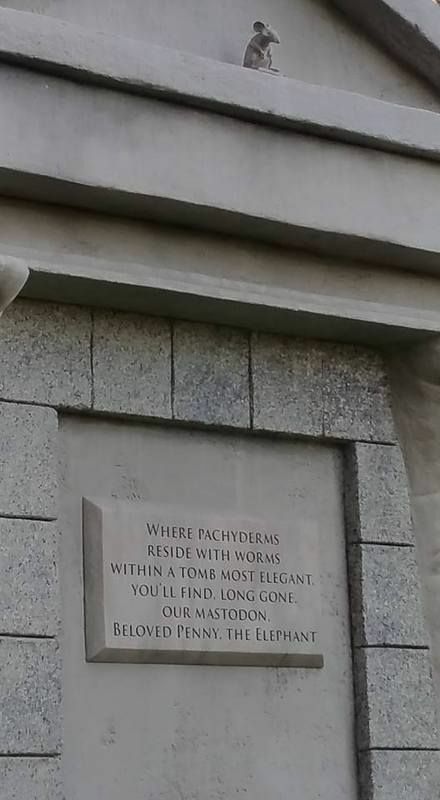 long forgotten. 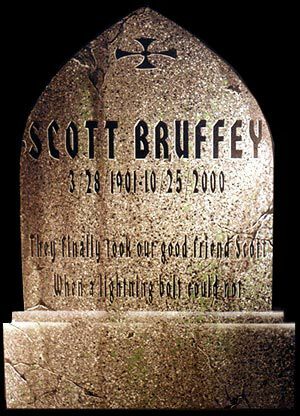 (Updated with info from "Scott Bruffey" himself, Sept 17, 2018). Okay, back to the HM. There is nothing particularly mysterious about this item, but more than 17 years have elapsed, and it's probable that most people have forgotten it ever existed. 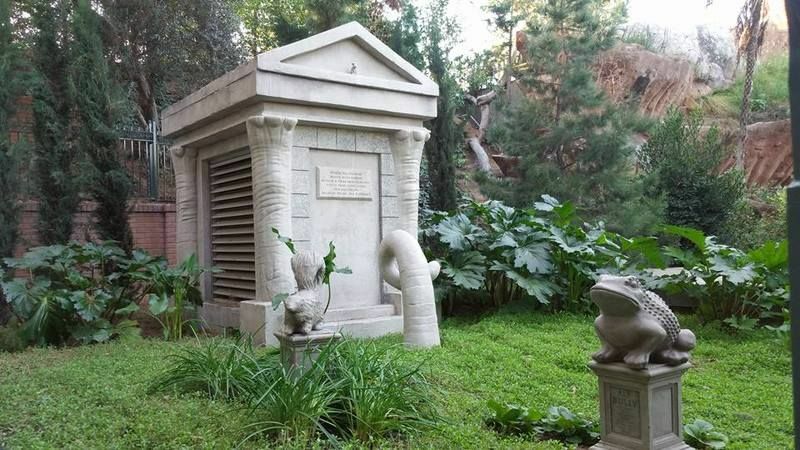 How many of you knew that there was for a short time a graveyard in the Mansion's front yard? 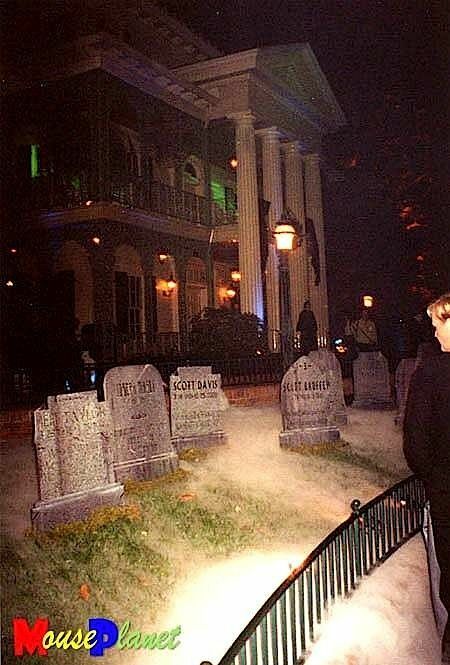 On October 25, 2000, Disneyland threw an event featuring a dinner inside the Haunted Mansion itself. Temporary foam-core tombstones were created with the names of the participants on them, complete with the usual "boot hill" humorous epitaphs. be waiting for the participants in their hotel rooms as a surprise when they went back after the dinner! time period. Whether these were extra stones created for the event but unused, or something entirely other, we don't know. It's all just another part of the Mansion's history. For some reason it doesn't seem to have gotten much press, but a new tombstone appeared early in 2017 in the old pet cemetery, the one on the north side of the house, the one you don't see unless you ask to see it or are making use of the disability entrance/exit. 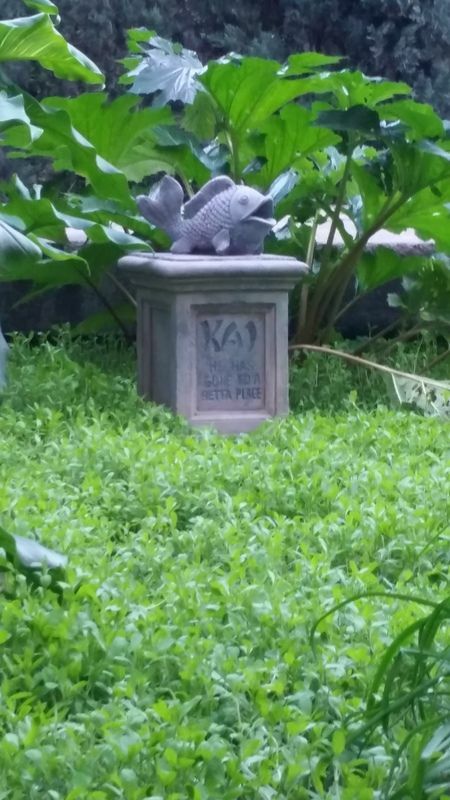 It's Kai, and we're told he has "gone to a betta place." Betta are betta known as "Siamese fighting fish," but our Kai looks less like one of those and more like a koi. If so, the joke may be that poor Kai the koi was done in by an SFF, and after having been eaten is now indeed in a "betta place." 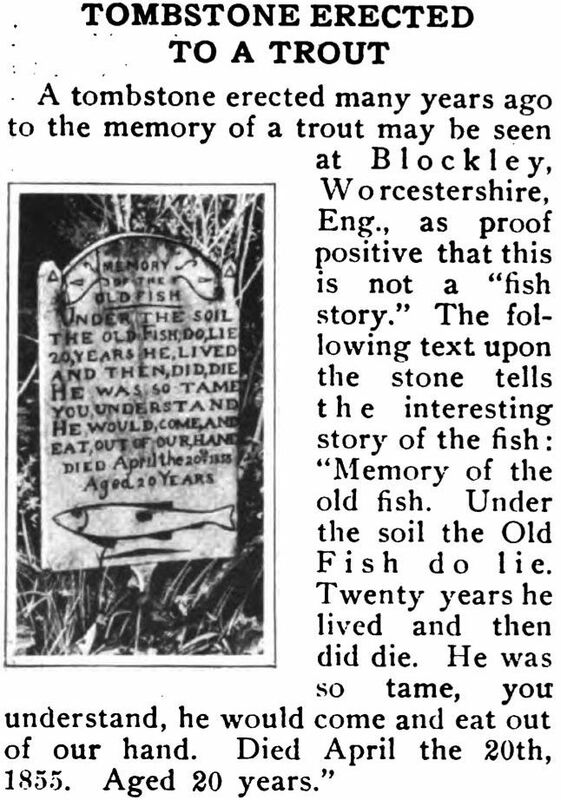 That's obscure, macabre, and witty enough to meet minimum LF standards, and besides, actual graves for pet fish are exactly the example we've previously used to illustrate the sort of Victorian eccentricity that may possibly be cited in order to justify pet cemeteries at the HM (although if I had my druthers I'd still get rid of them). 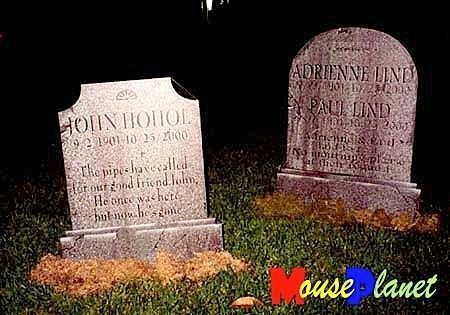 and you may recall that we updated the old Pet Cemeteries post accordingly. What I didn't know at the time is that Penny already has a history at the park, and we may be seeing here part of a new "megatheme" scheme at work, tying various attractions together in a common backstory. 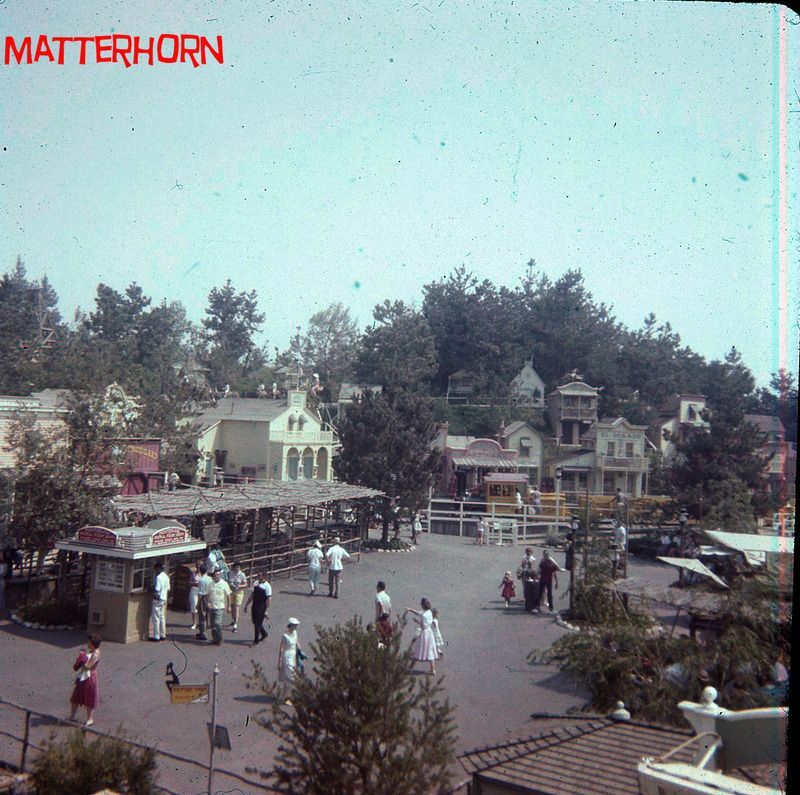 So long as it remains obscure and in the background, that's fine, but noisy, crudely imposed megathemeing is something we have denounced elsewhere, in one of LF's most popular posts, matter of fact. 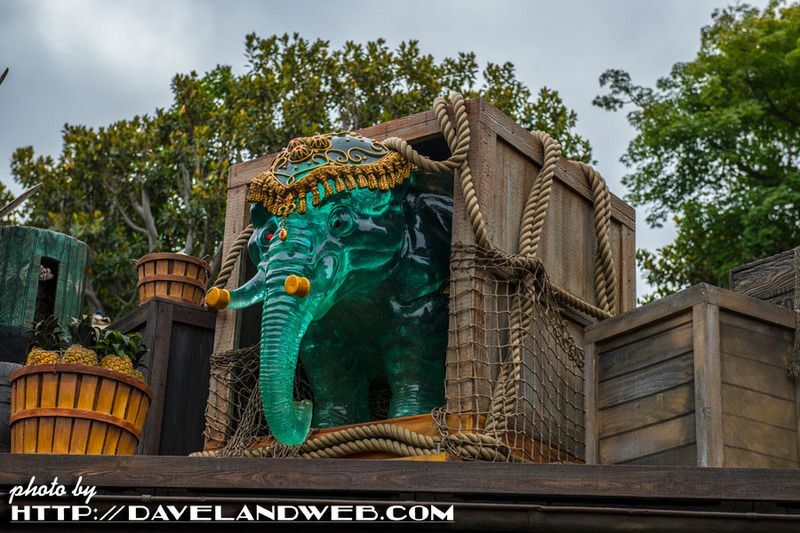 "With the recent refurbishment of the world-famous Jungle Cruise, you may have noticed the addition of a familiar face-- or shall we say trunk?-- keeping watch above Tropical Imports in Adventureland. 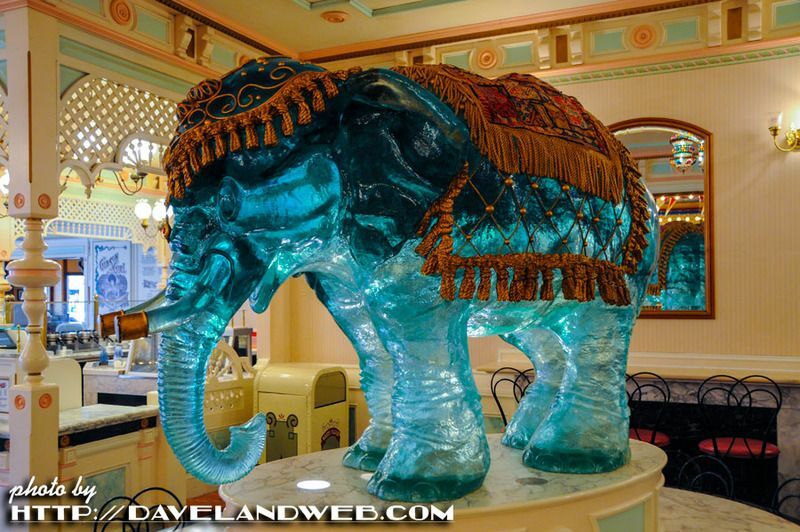 The blue acrylic elephant is new to the jungle, but it's no stranger to Disneyland park. The unpretentious pachyderm was originally created in the early 1990s for Disneyland Paris, but never made its way across the Atlantic. 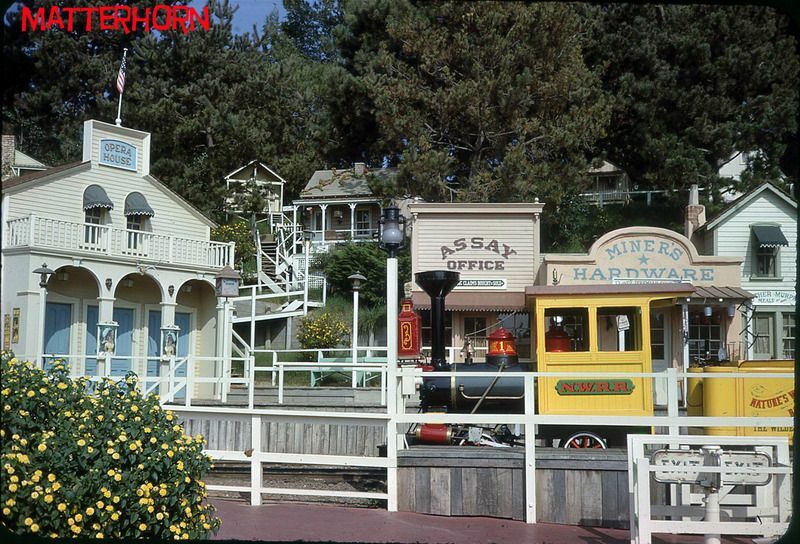 Instead, in 1993, it found a home here on Main Street, U.S.A.-- first at the Penny Arcade (where it became known as "Penny"), and most recently in the overflow seating area for the adjacent Gibson Girl Ice Cream Parlor." Despite their best efforts, Imagineers couldn't find a spot for the elephant when both locations were remodeled in 2012. And the statue was placed in storage. That is, until the refurbishment of Tropical Imports presented the perfect perch, where 'Penny' is once again delighting eagle-eyed Guests." So . 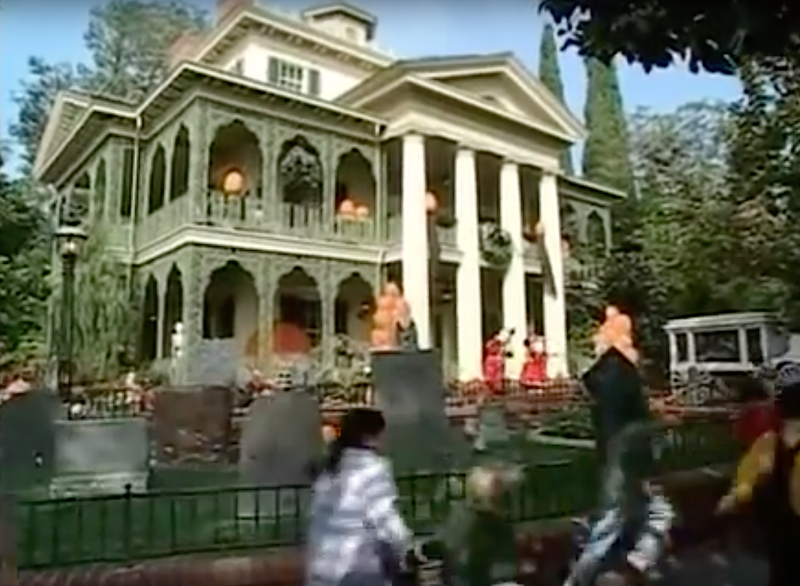 . . who would want to tie the Haunted Mansion and the Jungle Cruise together? 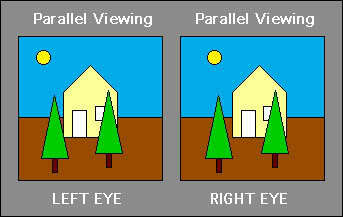 Perhaps we are dealing here with the Imagineering team that wants you to see the S.E.A. everywhere you look. It's a fascinating phenomenon, but I don't want to steal Freddy Martin's thunder, so read all about it HERE. After that, come back and ponder the enigma of Penny the Elephant. 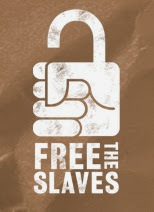 And let the conspiracy theories begin!